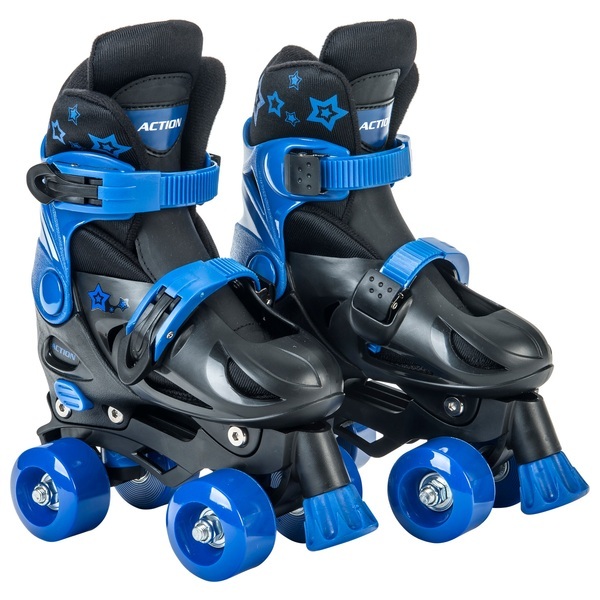 Kids will love these cool blue and black Adjustable Quad Skate’s. These four wheel training quad skates are perfect for little ones who have a passion for adventure. Front stoppers on both skates ensure that they are extra safe without cutting down on the fun.